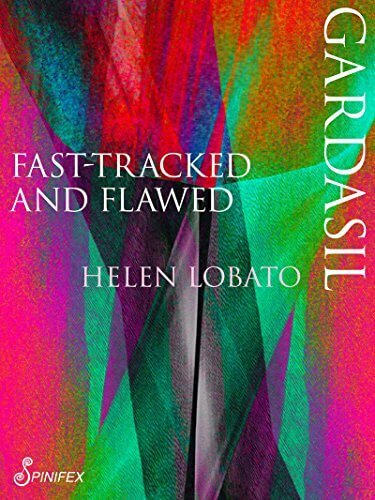 Today we are very pleased to be bringing you a guest post by Australia’s own Helen Lobato, author of the book Gardasil: Fast-Tracked and Flawed. I was diagnosed with cervical dysplasia in 1985. Since that time I have followed the issue of cervical cancer and its resurrection from a disease of obscurity to one of prominence. I was appalled when health experts and our compliant media began promoting HPV vaccines for teenage girls to protect them from a disease which had already seen a 50 percent reduction in deaths due improved living conditions and the implementation Australian National Cervical Screening Program in 1991. The roll-out of Gardasil was preceded by years of promotion by the manufacturer Merck (USA) and CSL Ltd, the New Zealand and Australian distributor culminating in a relentless propaganda campaign. Prior to the 2006 release of Gardasil in the USA, the mainstream media message was intense and scarcely a day passed without a cervical cancer story accompanied by the promotion of an auspicious, imminent vaccine. The public most of whom had never heard of this virus had been alerted and alarmed and anxiously awaited a vaccine to become available as quickly as possible. Behind the Australian Gardasil campaign was the PR giant Edelman that worked with the Australian and New Zealand distributor CSL Biotherapies in promoting the vaccine to health professionals and the public. If I’d known at the age of 22 that Gardasil would destroy almost three years of my life, I never would have gone through with it. I really knew nothing about it, other than what my doctor told me — which was that it was a great new vaccine, and that I should definitely get it ‘while the Government was offering it for free.’ I wasn’t told anything about the serious side effects and young women who had been admitted to hospital with serious muscular issues — or worse, had died. In June 2006, the Therapeutic Goods Administration (TGA) approved the use of Gardasil in Australia for females aged nine to 26 and males aged nine to 15. The national HPV vaccination program began in 2007 and was provided in schools for females aged 12–13 years. Currently there are 3 HPV vaccines on the market. The quadrivalent HPV vaccine Gardasil was produced to be protective against four HPV types: 6, 11, 16, and 18. The bivalent vaccine Cervarix was made to protect against two HPV types: 16 and 18, and Gardasil 9 was made to protect against nine HPV types: 6, 11, 16, 18, 31, 33, 45, 52 and 58. Here in Australia Gardasil 9 is routinely given to boys and girls at age 12 and 13. HPV vaccines are sold as preventatives against cervical cancer, whereas in reality they are vaccines which are at best protective against a few strains of the human papilloma virus. This vaccination program began and continues in spite of the fact that cervical cancer only very occasionally follows an infection with one or more cancer-associated types of human papillomavirus (HPV). The plain fact is that 90% of HPV infections are asymptomatic and naturally cleared by the immune system within two years. HPV vaccines have never been tested against cervical cancer outcomes. It can take decades from HPV infection to the development of cervical cancer so such definitive testing is simply not possible. Instead, a surrogate endpoint was used to support the conclusion that HPV vaccines would be effective in preventing cervical cancer. The suitable surrogate end-point chosen for the efficacy of the HPV vaccine was cervical intra-epithelial neoplasia (CIN) grade 2/3 lesions, and adenocarcinoma in situ. This surrogate end-point was decided even though these precursor lesions are common in young women under 25 years and rarely progress to cancer. In sum, very few of these CIN 2 and 3 precursor lesions in young women develop into cancer so it is difficult to support their use as end-points or markers for cervical cancer. There is no proof that any of the HPV vaccines have ever prevented a single case of cervical cancer. But there is evidence of their harm. According to the World Health Organisation’s adverse events database there have been over 85,000 serious adverse events and this is not the complete picture for only 1-10 per cent are ever reported. Nevertheless all over the world girls and boys are injected with this vaccine and thousands are maimed in the process. 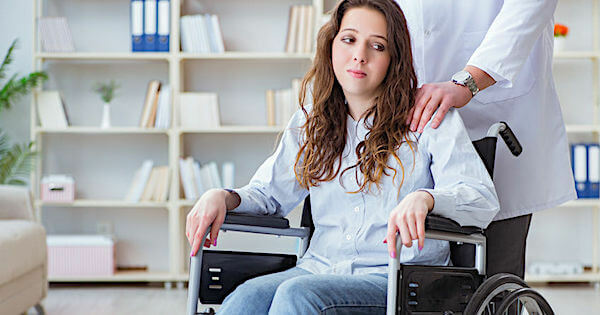 The severe adverse events following Gardasil vaccination include sudden collapse, paralysis, seizures, multiple sclerosis, strokes, heart palpitations, death, chronic muscle pain and weakness, autoimmune diseases, infertility and cervical cancer. Very few doctors are willing to speak out about the problems with the HPV vaccine program. When Kristin Clulow, one of the young women in my book Gardasil: Fast tracked and Flawed was asked by her neurologist if she had been given any vaccines recently and she told him she had – he replied: ‘that will be it’. But did he report his list of patients who had recently been given Gardasil? We don’t know. Each shot of Gardasil 9 contains 500 micrograms of aluminium. One of the new diseases caused by this vaccine and the hepatits B shot is macrophagic myofasciitis. MMF occurs when the aluminium hydroxide adjuvant in the vaccine remains embedded in muscle tissue. MMF results in chronic muscular and nerve pain. So many of the young women who have become unwell after vaccination report chronic body pain. The neurotoxin aluminium is added to a vaccine to enhance the immune response and is found in vaccines that contain dead viruses. These include HPV, hepatitis A and B, diphtheria-tetanus-pertussis, haemophilus influenza B and pneumococcal vaccines and most of these are given to very young children. Professor Chris Exley is an expert of all things aluminium. Exley asks: ‘How many experts did they consult before using aluminium as an adjuvant? How would they know that it was safe? He wonders how they could answer this as he as an expert doesn’t even know. Aluminium causes the body to turn against itself. This is what we are seeing in many of the girls and now boys who have had their lives damaged and in some cases ruined after Gardasil. One of the serious adverse effects turning up in teenage girls is premature ovarian failure. POF occurs after aluminium destructs the maturation process of the eggs in the ovaries. These girls then enter an early menopause; they become infertile in their teenage years. Another mechanism by which damage is occurring is that of molecular mimicry. This occurs because one of the antigens in Gardasil, the HPV 16 L1 protein almost identically matches 34 peptides in our bodies. So when a vaccinated person develops an antibody to the HPV 16 protein they can also develop an antibody reaction to their own system in multiple locations. The number of viral matches and locations makes the occurrence of autoimmune reactions across the body almost unavoidable. It remains to be seen how long it will take for the mainstream media to expose the Gardasil story. In a world where the market in vaccines is worth close to $24 billion and with the staggering prediction that the vaccine market will reach an estimated $61 billion in profits by 2020, it is best not to hold your breath. I believe strongly that we should put the HPV vaccination program on hold. And I suggest that action must also include treatment for those poor girls and boys who have become severely ill after HPV vaccinations — at the expense of the companies reaping millions from these vaccinations, rather than burdening the public purse. If the adverse effects of HPV vaccines were known to the public and health professionals, then those suffering could be diagnosed swiftly and given treatment. Until the full truth about Gardasil and the other HPV vaccinations is known, and the question about compensation can be asked, I think this is the absolute minimum they deserve. What started out as a drug fast-tracked to protect against cervical cancer is flawed. Gardasil is just a vaccine perhaps effective against a few types of the very common human papilloma virus which causes warts.